In the course of my cryptozoological studies, I came across the newspaper clipping below. It is from the Scottish Sunday Mail dated September 9th, 1934 and tells of the strange tale of a beast seen in Loch Leven. Is there a Loch Leven "monster"? Has the Argyllshire loch become tired of the overwhelming popularity of Loch Ness and decided to claim a little of the limelight for itself? On several occasions during the past few days a strange creature has been seen at various points in the loch, appearing for a few minutes on the surface and then diving with a peculiar motion. And one night it appeared for close on half an hour at the head of the loch. Two men and a group of boys, all of Kinlochleven, watched the "monster's" activities. It appeared about half-past eight; seeming to come up the loch and chasing, they alleged, a couple of seals which were swimming furiously ahead of it. The strange creature had a great oval head, joined by a long neck to a glossy black body, with a speckled grey breast. There were three humps showing over a foot out of the water. The tail was long and pointed, and the total length of the creature was estimated at about 20 feet. When it dived, the humps appeared in succession and the tail was thrown up high into the air. You've heard of "flash mobs" and this story has the feel of a "flash monster". We have never heard of a monster in Loch Leven before and it seems we never hear of it again afterwards. When I was researching my book on loch monster folklore, this loch did not appear on the mythological radar and (as far as I know) no reports of such a creature have appeared since then. It's a bit like the "flash sturgeons" and "flash seals" beloved of sceptics back at Loch Ness. They appear from nowhere to explain troublesome eyewitness reports and they disappear just as fast in a puff of logic with no indication whether these sea going creatures were ever actually in the loch at that time! Part of the explanation for this lies in the fact that Loch Leven is an open loch which opens into the sea loch of Loch Linnhe which feeds into the Atlantic Ocean. Loch Linnhe has more of a reputation for monsters with claimed sightings in the 1940s, 1954, 1964 and 1967. The point being that a loch which has easy access to open sea is not so easily regarded as a monster bearing loch. 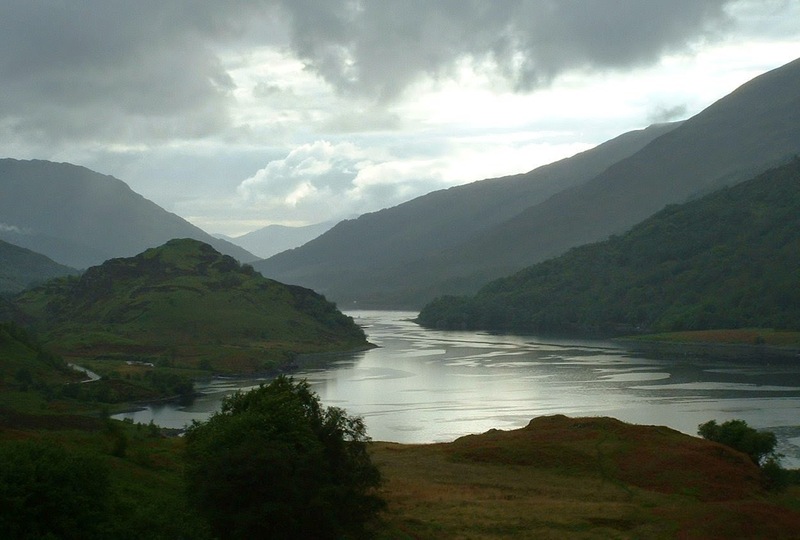 However, the complex of lochs which run over the Great Glen Fault have always posed to me the question as to whether their connectedness has cryptozoological implications. To wit, each one from Linnhe to Lochy to Oich and to Ness each has its share of monster stories. Sceptics may conclude Loch Ness stories merely propagate like seismic shocks down the fault line. Cryptid researchers speculate as to whether the creature seen in Loch Linnhe is related to the one in Loch Ness. Loch Leven seems a bit player in this drama, but it had its brief moment of fame back in 1934 as Loch Ness Fever reached a crescendo. The report itself has a "Nessie" feel to it with that long neck and multiple humps. It is one of several reports over that period and suggests something was in the loch for a short period before heading back out to sea forever. Where it differs is the creature going after a couple of seals. That kind of story is less likely in land locked Loch Ness and makes us wonder what it was. Killer whales have been seen off the west coast of Scotland and would certainly go into a loch after seals. This blog covered such a story from the 1950s a while back. That would mean mistaking the long neck and oval head for the orca's dorsal fin, a mistake not easily made and what do those three humps signify? Perhaps a line of seals chasing other seals? But what about that long neck and oval head? At this point, some eyewitness sketches would be useful, but we are left to guess what exactly was seen over that period in late 1934. The Loch Ness Monster Bibliography continues to grow with books old and new. As far as the new is concerned, I would anticipate at least three books coming out in the next twelve months, but for now we look back to ones previously published but in digital format. Up until recent years, all books I have added to the bibliography were in paper form. However, some of them have since become available in downloadable formats. Indeed, some have been updated and revised, but only in e-book format. As it stands, the majority remain as hardback/paperback and out of print. In fact, it would be a good idea to digitise these old books and give them a new lease of life since they are much more searchable in this format. But some do not appear in paper at all (or in very limited print runs) and so one has no choice but to download them. Of course, there is nothing to stop you printing them out and binding them yourselves, but the trend is towards paper and pixels with some self-published titles never appearing in paper. Let us look at some of these now. 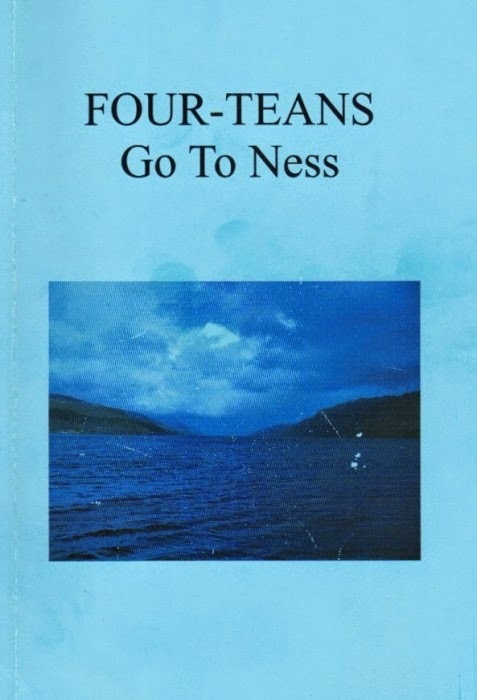 The first is titled "Four-Teans Go To Ness" by Colin Stott which, as the Blytonesque title suggests, documents an adventure trip to Loch Ness by four intrepid monster hunters. I have to apologise to Colin for sitting on this for two years. I did read it and found it very entertaining, but it will now take its place in the Nessie bibliography. Readers of a nervous disposition are warned that some of the language used is stronger than some evidence for the Loch Ness Monster. In fact, cryptozoologist Nick Redfern, had already reviewed this book back in 2009, so I will defer to him and link to that article for your edification. Colin sent me a paper copy, but these are no longer available. However, fear not, as you can now purchase the e-book version at Amazon. A fifty page satirical view of all thats wrong with Nessie Hunting in Scotland. Written by Graeme Caisteal a Scot with thirty years experience in reading "between the lines". 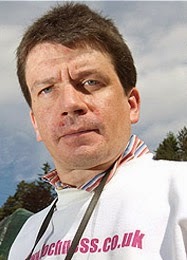 Graeme was a friend of famous monster hunter, Frank Searle, and mounts a defense against some of the allegations thrown in Frank's direction. I first noticed his Internet presence when Fortean researcher, Mike Dash, uploaded Frank's unpublished book. In fact, you could regard Frank's "Loch Ness Investigation: What Really Happened" as an e-book in its own right. You can find it here, courtesy of Mike Dash. The sun rose slowly as I lay there in my small canvas tent, soft filtering light caressing my face as the morning erupted around me in a blaze of colour. I sat there gathering my thoughts, engulfed in this beauty. I could hear the rush of the water lapping against the rugged shore, the birds were singing and the forest seemed to heave a huge sigh of relief as another day broke. It was a beautiful June morning and I was only a stone throw away from Scotland's biggest mystery. As I emerged into the light of day, eyes half closed, I could just pick out the ruin of Urqhuart Castle on the far shore, standing like a monument to some ancient memories of bygone days. The heat of the day started to thaw out my bones and once again I was ready to scan the dark foreboding waters of Loch Ness. Almost one thousand feet deep would it ever give up its secret. This is the home of my water dragon. To the world, it is known as the LOCH NESS MONSTER. For some sixty years Loch Ness has been subjected to multitudes of prying eyes and the fixed gaze of the telephoto lens, videos constantly at the ready. Armed like snipers they sit watching with baited breath, waiting for the battle to commence. All they need is it between their sights, for the camera to snap into focus on that repugnant head. They can see the beast turn as it whips the calm waters into a cascading torrent large enough to capsize any local boat and in seconds it has gone. The video camera lies abandoned at their feet. They stand stunned and in silence, did it really happen? If only I had pressed the button. Have I missed my chance forever? I hope in writing this book others can visit Loch Ness and investigate for themselves. Build up your own knowledge, do your own research and most of all read between the lines, open your eyes. When I first headed to Loch Ness armed with only what I read. I thought I knew it all. Like most people I trusted expert opinion until one day I realised, how can you have an expert in a subject that at present no one seems able to identify? Originally, you could have obtained this e-book from his website, but that is now gone and Graeme has so far not responded to my email. I would happily put the copy I have on Google Drive, but need Graeme's permission. I will update this article when I know what is happening. A third e-book that has been available for some time on the Internet is "Nessie Sighting" by Norman Lee from Clacton on Sea in Essex. This is a short e-booklet which documents one man's sighting of the Loch Ness Monster back in 1970. 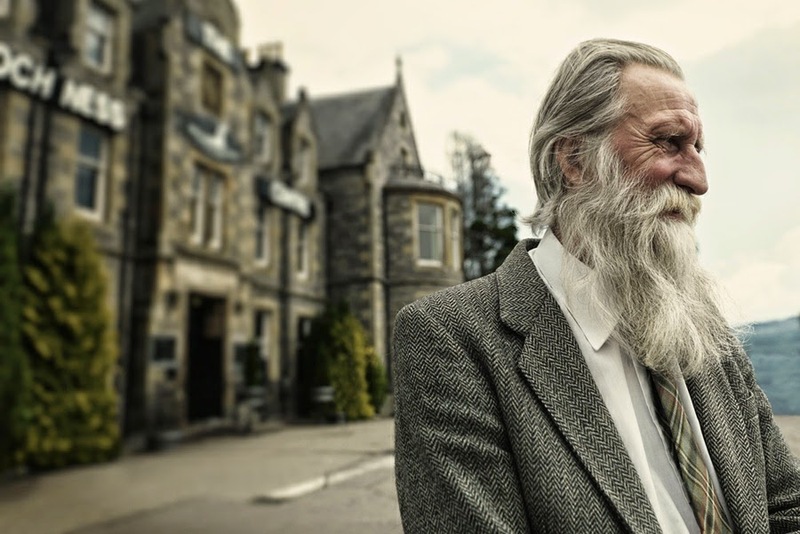 Before his death, Mr. Lee gave his evidence into the care of Lois Wickstrom who ran the "Nessie's Grotto" website. 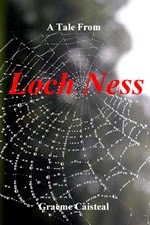 If you send an email to lois@lochness-monster.com, she will send you a free copy. Norman takes us through his story of seeing a head and neck and the photograph he took. To my disappointment, the e-book does not publish this picture and Lois tells me that they were never given it. One can only guess where it is now, but from reading the text, his photo would appear to show the object in the act of submerging with the neck already underwater. Norman speaks of his "excitement" taking him longer to prepare the camera. It looks like a bit of "shock and awe" deprived us of a better picture. Since he mentions the photo being seen by the LNIB and being sent back without the world hearing any more about it, I will assume it was not a game changer. The e-book also gives an insight into his personal dealings with the Loch Ness Investigation Bureau and Tim Dinsdale (misspelt "Dimsdale"). I note that Tim interviewed Norman with his tape recorder and an LNIB report form was filled out. So, there is extra information out there to check this ebook testimony against. It is not clear whether Tim's cassette tape recording was for his own private research or done in an LNIB capacity. For now, I will assume the former and the tape now lies in his family's archives. So, there you have it. Three e-books for your interest. I assume there are more of these non-paper items out there. If you know of any, leave a comment below. I have said it here before and I'll say it here again. Underneath the topsoil of the various books and articles that have been written on the Loch Ness Monster lies a deeper strata of newspaper clippings, scrawled notes, audio recordings, photographs and correspondence. To the modern researcher, this rich vein of information lies largely untapped as older researchers went to their graves and their collections followed in a manner reminiscent of the treasures of the Pharaohs of old. Unlike the Pharaohs of old, many of these cryptozoological treasures looked doomed to remain buried and never make the display cabinet. The research of Lt. Cmdr. Rupert T. Gould is a case in point. 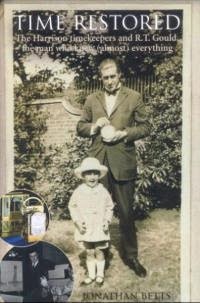 I was researching some aspects of his work recently and established contact with Jonathan Betts, author of "Time Restored", the definitive biography of Gould's life and work. Jonathan had added a chapter on Gould's cryptozoological activities and so I asked him about the status of Gould's personal archives. Jonathan told me that when Gould died in 1948, his son, Cecil, chucked all his research notes away. Cabinets full of files on Horology, Sea Serpents and the Loch Ness Monster were simply consigned to the dump never to be retrieved again. I'll say that again, his son dumped the lot. Decades of careful and dedicated research destroyed in the merest fraction of that time. As they say, it is easier to destroy than create. Apparently, Cecil never really liked his father, this seemed to have been part of the motive behind this large act of vandalism. I would assume from this that Cecil was also a Nessie sceptic. You might think that if Glasgow Boy was there when this crime was happening, he would have given Cecil Gould a Glasgow Kiss. Be rest assured, I would be more likely negotiating a way to take possession of these valuable archives. But, yes, it would be the Glasgow Kiss if he refused. Doubtless, there were far worse things going on in the world when Cecil Gould committed this deed, so I won't attempt to elevate the blackness of the deed above the events of that day. However, it leaves a bad taste in the mouth and is the worst I have heard of in cryptozoological stories. However, Jonathan offered a small crumb of comfort by sending me the scans of Gould's personal annotations to his "The Loch Ness Monster and Others" (1934) and "The Case for the Sea Serpent" (1930). These copies of Gould's work are held in the library of the National Maritime Museum at Greenwich, London. Most are of a typographical nature, but some add extra information. For example, Gould comments on his map of Loch Ness on page 4 of "The Loch Ness Monster". "This is a very poor sketch map : one of the worst, I think, that I've ever drawn. Something on the lines of the end-paper map would have been far better. RTG 18-XI-41"
Gould added that comment on the 18th November 1941, and most were around that time. More telling (for sceptics) is his volte face on the Spicers' famous land sighting. "Were I re-writing the book, I should have omitted this case. I think the Spicers saw a huddle of deer crossing the road. RTG"
I covered this recantation in a previous article. This is an example that older Loch Ness researchers were not always a bunch of "Yes" people when it came to reports. However, you can be certain that sceptics are "No" people all ends up. 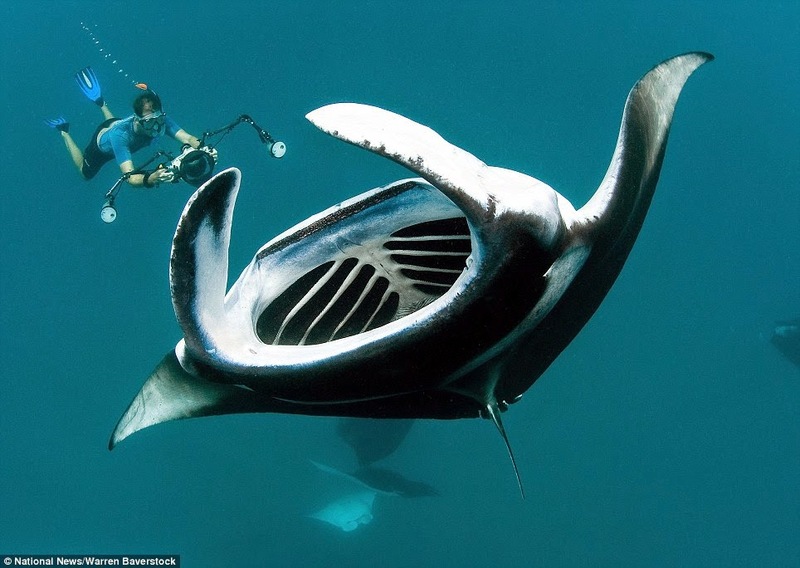 Further on, Gould makes a comment regarding manta ray fish and monster reports. A Mr. Fleming had written to the Daily Record suggesting Loch Ness now had one of these huge fish in it. Gould adds this comment. "Agreeing with Palmer's statement (no.12) very well. I haven't noticed this till now. RTG 1-XI-45"
Gould is referring to the curious case of Mr. A. H. Palmer who saw what appeared to be a mouth opening and closing on the surface of the loch. Gould reproduced the sketch below for his book. I suppose I can see some resemblance to the manta ray, but I will let others make a defence of this as a serious Loch Ness Monster contender! Another interesting addition was a press clipping from The Listener from the 16th June 1938, which reviewed a radio talk given by Rupert Gould eight days previously. I reproduce it here for your interest and note that Gould is still sticking to the monster being a sea serpent (though whether mammal, reptile or fish he cannot tell). Click on the image to enlarge and read. Finally, Gould includes some sea serpents annotations, for which I include only one which involves a Mr. Kemp, who claimed to have seen the creature below. Gould adds the following comment: "He saw it again in 1936 or 1937. See "Cadborosaurus" file. RTG 7.III.38". Now, wouldn't it be great to get a hold of Gould's "Cadborosaurus" file and flick through it? I know some people that would love to do that. However, as we read at the top, a sceptic got his hands on the files and destroyed them. I will restrain my words again at this point and count to ten. Today, evidence continues to be destroyed as eyewitnesses report something to sceptics, but they are not believed and ignored. Is this as bad as filing cabinets ending up in a landfill? You decide. One great advantage of running this monster blog, is that people come forward with their stories of the weird and mysterious. But this time, it is Mhorag, the resident of Loch Morar that hogs the limelight today. Tricia sent me details of her experience on Loch Morar about 45 years ago whilst out on the loch with her family. She had seen our article on the Simpson account and was prompted to contact me some days ago. Tricia reckons her encounter happened in the last week of August 1969 between 1730 and 1830. It is a slightly disconcerting tale and I would not have liked to have been in their position. But what makes it particularly interesting is its relationship to another more famous encounter with Mhorag. I will now let Tricia take up her tale. My family spent a lot of our school summer holidays at Morar Silver Sands, we would travel from West Calder in West Lothian to Morar, I remember in those days this seemed to take forever. We travelled in a Volkswagon caravanette and a Ford Zephyr. Back in those days we rented a cottage on the beach from the the MacKechnie family. I have great memories of these holidays and am the oldest of six children. My Dad was a great fisherman and golfer, he was self employed which enabled us to spend six weeks in Morar. Dad would go off golfing in Arisaig with my brothers in the morning and most afternoons we would go off fishing. Indeed, on one memorable occasion at the river which flowed into the Loch he spent one hour landing a very large salmon whilst being cheered on by a crowd of around fifteen folks. We ate well that night! Old Sandy MacKechnie hired himself out with his boat on Loch Morar to tourist fishermen. My Dad also hired his boat (without Sandy) to fish on the Loch. It was on one of these days we spotted Morag, I can tell you we had no knowledge of Morag before this particular day. In those days there was no world wide web and as we were young if my Mum and Dad had any knowledge of the monster they would never share such scary information with us and knowing my Mum she would not have allowed my Dad to take us out on the Loch! Anyway, on this particular day myself (age 14), my sister (age 13), my brothers (ages 11 and 9) and my Dad set off to fish, whilst my Mum with my younger siblings and David and Colin from Nazareth house set off for Mallaig for the day. We travelled for what seemed like hours to us on this small boat with an outboard motor and two oars on the Loch. My memories of this journey are very clear, I was intrigued with the scenery and how we were in such a remote, mystical area. I wondered how people got to the few houses I saw at both sides of the Loch. I do remember one very large house sitting in the trees to my right on our way down the Loch and wondering what type of folks lived there. After what seemed like a long time we decided to stop at a shingle cove on the left as we travelled down the Loch. We had lunch and Dad and my brothers fished from the side of the Loch, I can tell you that my Dad on these fishing expeditions lost all sense of time and indeed would walk away from us and forget we even existed. On this particular occasion, my mischievous brother untied the empty boat and I quickly retrieved it (tearing my toe nail off on a rock for my good deed). One of the oars fell from the boat and floated off before I could retrieve it. Eventually my Dad returned, I reckon this was around 5 pm. I remember while we were on the shingle beach, a fishing boat went past us and we waved to the folks on board, after a while the same boat passed us on their way back and we waved again. We packed up and started off back up the Loch to return home, my Dad was a very calm and placid man but on this occasion he was upset with my brother regarding the one lost oar. Ten minutes or so into the journey, at which point we were in the middle of the Loch, and to my recollection both shores were equidistant, the outboard motor packed in. 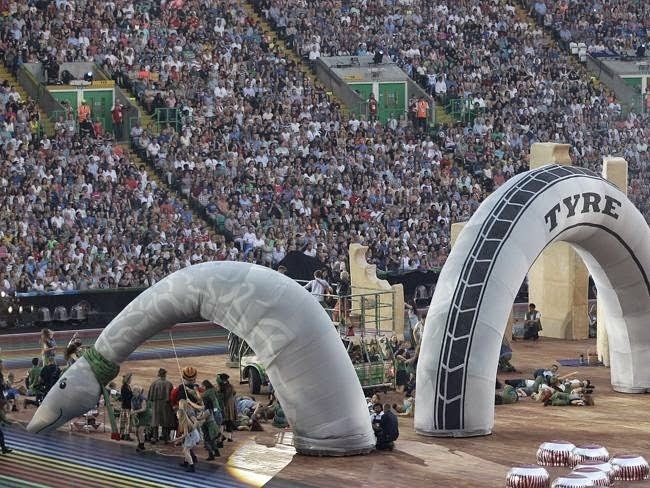 We as kids were not particularly concerned with this because we were used to this type of event. My Dad regularly took us on fishing expeditions to many other lochs, sea and rivers where outboard motors would pack in and be fixed by him. As we sat patiently while he worked on this motor I looked to my right and spotted two or three protrusions from the water, about two feet high. I thought these were rocks at first, but I remember having a feeling of unexplained fear. I turned to my sister who was sitting next to me and said "Look over there, what is that?" at which point my Dad said "Shut up, Patricia!" with gritted teeth. This was upsetting to me as my Dad was very rarely angry at us kids and we were taught all our lives never to say "Shut up!" to anybody. This was a golden rule in our house. My Dad had, of course, spotted the same protrusions and kept this to himself, I and my sister stared at this sight in the water in confused wonderment. My brothers at this point were oblivious down to their age and preoccupation with trying to untangle the fishing tackle which my dad had tasked them with. I said again "Dad, what is that in the water?" to which he replied again "Shut up!" in an angry voice. This prompted my brothers to look over and join in the debate. The feeling of fear was now with us all. Some time later, my Dad explained to us his mind was not only on trying to fix the motor but also trying to figure out how he could get us to shore safely away from this unexplained "thing" in the water. I am smiling as I write this but also empathising with his thoughts. He must have been frantic, he did however on the outside remain calm for our sake! The upshot is, he finally got the motor going. As we started to travel, the mysterious protrusions (which had stayed with us for the duration of time it had taken Dad to fix the motor in the same position), disappeared below the water leaving a slight swell, which we felt in the boat. We trundled along again for which felt like hours till we reached the jetty where we had started out from. On landing, there was a flurry of activity and our Mum was crying and very agitated. She, of course, was witness to two fishermen relaying to a crowd of folks, including reporters, their experience on the Loch that same day, some hours before. From my recollection, they also had an up close and personal experience with (I presume) the same "thing" we had witnessed. They however, said this "thing" had hit their boat and they hit back with an oar and a gun shot. As we landed, there was a boat with folks on board ready to launch to come and look for us. My Dad apologised profusely to these folks. He told us kids not to say word about our sighting as he explained later he did not want it to be seen we were jumping on the two fishermen's bandwagon, but also he did not want people thinking we were nuts. We are an ordinary family with nothing to gain from me telling our story. Between us we are business folks, professional managers and a social worker. My mum is retired from the police force and my Dad was a hardworking, self employed electrician. As I mentioned in your blog, watching a television programme the other night (Nessie revisited) prompted me to google for the Loch Morar Monster and your blog caught my attention. Having read the content of the blog I felt I had to join in and relay to the contributors our Morag experience. As I said previously, nothing will convince myself and my siblings that Morag DOES NOT exist. I hope I have explained the event and also hope I have given you a good insight to our "fishing day out". The best known encounter, in 1969, involved two men, Duncan McDonnel and William Simpson, and their speedboat, with which they claimed to have accidentally struck the creature, prompting it to hit back. McDonnel retaliated with an oar, and Simpson opened fire with his rifle, whereupon it sank slowly out of sight. They described it as being brown, 25–30 feet long, and with rough skin. It had three humps rising 18 inches (460 mm) above the loch's surface, and a head a foot wide, held 18 inches (460 mm) out of the water. As far as I can ascertain, this famous story happened at 9pm on the 16th August 1969. Sceptics have dismissed it as a cover story to hide some embarrassing or illegal activity, but does this new story add credence to its original claims? Tricia's encounter seems to have occurred about 21 hours later. She adds that the object was about 20 to 30 yards away from the boat. All in all, an intriguing tale which doubtless is backed up by others in the boat that day. I cannot prove that Tricia did or did not see a monster that day. She is convinced, and I leave it to the judgement of our seasoned readers to form their own opinions.